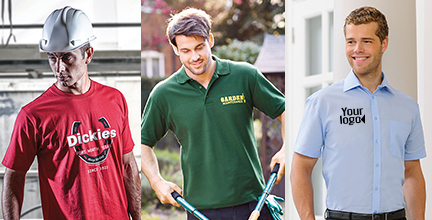 Embroidery is the most popular option for creating your company workwear. 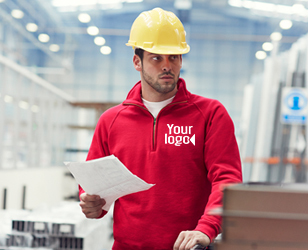 We recommend print when you have a large logo that you want to stand out from a distance. 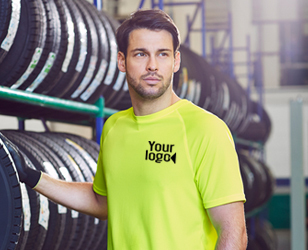 From printed t shirts for promotions, through to vinyl printed hi vis jackets for on site, we have a huge range of options for your needs. 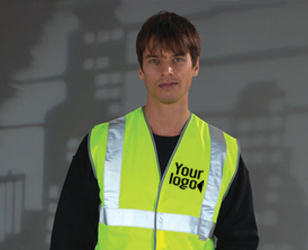 We offer a wide range of men's work clothing, personalised with your design. 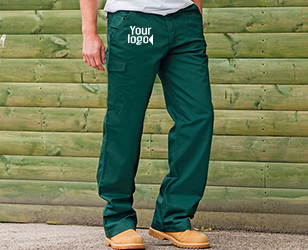 From polo shirts with your logo to durable cargo trousers we can kit you out with a fully personalised man pack.